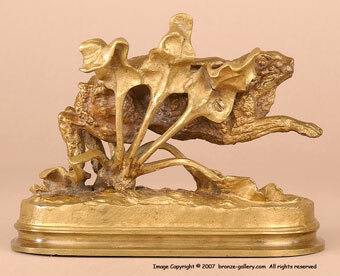 Moigniez sculpted several rabbits and hares during his lifetime. The best known are the large pair of Hares titled Chasse Ouverte and Chasse Fermee which depict a male and female with young. 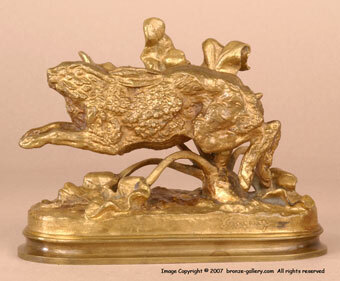 Moigniez also did a Hare with a Tortoise illustrating the fable, and several other small bronzes of hares and rabbits. These bronzes are very popular today and rarely come on the market. 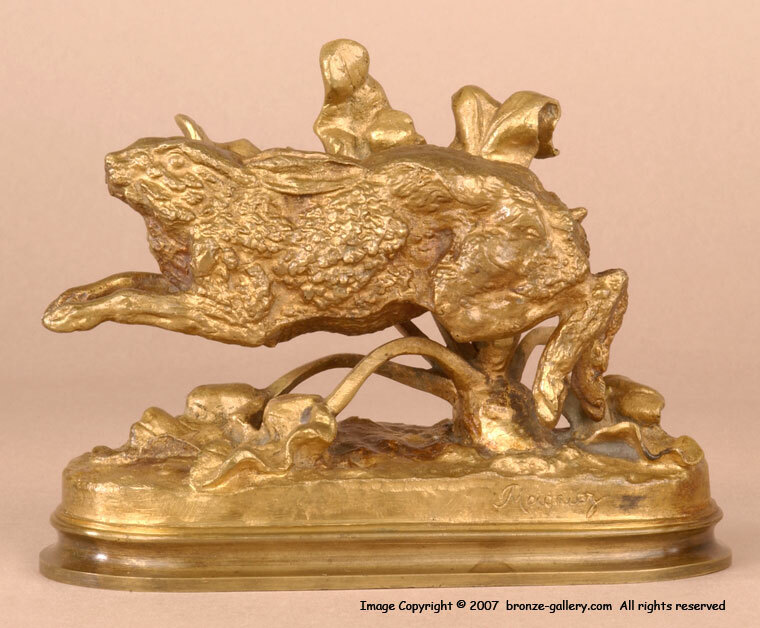 This bronze of a Hare is shown running and has a gold gilt patina.